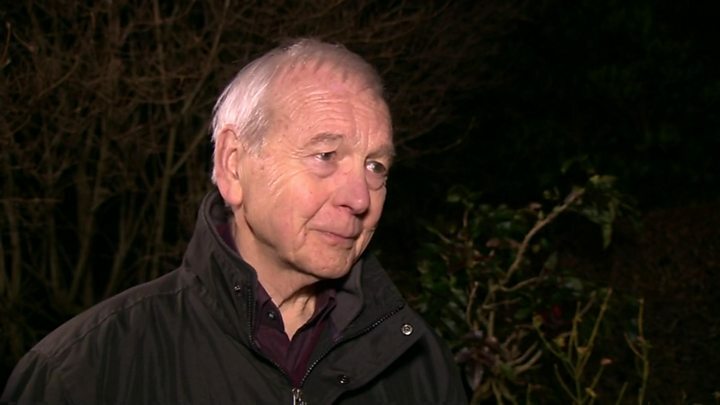 BBC presenter John Humphrys has said he will be earning "hugely less" after agreeing to take a pay cut. The Today programme and Mastermind host was paid between £600,000 and £649,999 in 2016/17. He's one of six male stars who have agreed to earn less after revelations about differences between men's and women's pay at the corporation. He refused to confirm exactly how much he'll lose but it is thought he will earn roughly half what he did before. Huw Edwards, Nicky Campbell, Jon Sopel, Nick Robinson and Jeremy Vine have also accepted reduced wages, the BBC said. The move comes after the BBC revealed the pay of on-air talent earning over £150,000 in July. Two-thirds of stars on the list, including the top seven earners, were men. Earlier this month, Carrie Gracie resigned as BBC China editor in protest at unequal pay between male and female international editors. Speaking about his salary, Humphrys said it "seemed fair" for him to take a pay cut. 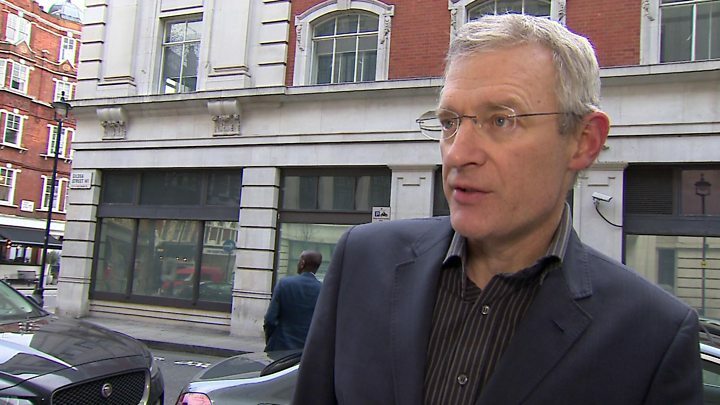 Asked by BBC media correspondent David Sillito whether he was happy to have his salary cut in half, he replied that the new amount was "not exactly a pathetically low salary". "It's still a lot of money. A lot less than it was, which just goes to show that what I was earning was a very large amount of money, and it seems, as I say, entirely fair to take rather less." The BBC did not comment on how much the six presenters would now receive. Humphrys was recently criticised for an off-air conversation with Jon Sopel, the BBC's North America editor, who earned £200,000-£249,999 in 2016/17, compared with Carrie Gracie's £135,000-a-year. In their exchange, Humphrys reportedly asked Sopel about "how much of your salary you are prepared to hand over to Carrie Gracie to keep her". He then referred to "other men who are earning too much" at the BBC. Asked about the conversation, which took place when Humphrys was preparing to interview Sopel for Radio 4's Today programme, Humphrys said the pair were "having a bit of a joke". He said: "It was four o'clock in the morning, I was having a joke with an old friend, and we were exchanging our usual insults, which is the sort of thing if you've known someone for a very long time. "We were taking the mickey out of each other. Not out of Carrie Gracie or any women. It was a not a gender-based discussion. "It wasn't a discussion. It was about 90 seconds of badinage, winding each other up, the type of thing I've done with Sopel 1,000 times. But this time somebody was recording it and it was fed to people outside the BBC." A BBC statement on the pay cuts said: "We are very grateful to Huw Edwards, Nicky Campbell, John Humphrys, Jon Sopel, Nick Robinson and Jeremy Vine, who have agreed that their pay will now be reduced. After leaving her post as China editor, Gracie is now returning to the BBC newsroom in London, saying she expects to be "paid equally". On Wednesday, she will discuss the topic before a select committee of MPs, shortly before director general of the BBC Tony Hall, his deputy Anne Bulford and director of news and current affairs Fran Unsworth. A judge-led audit of equal pay among rank-and-file staff published at the same time found there was "no question of any systemic gender discrimination"
Lord Hall has previously pledged to close the gap by 2020, saying the corporation should be "an exemplar of what can be achieved when it comes to pay, fairness, gender and representation".